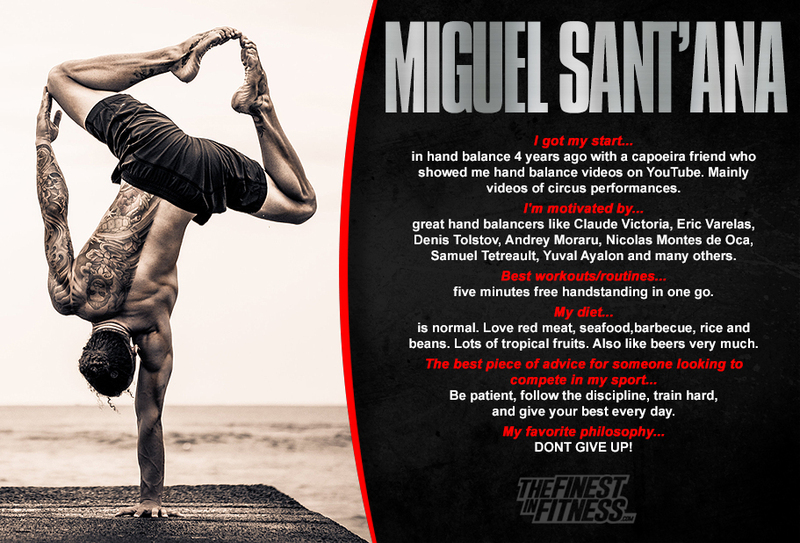 Born in Brazil, Miguel has traveled the world teaching his handstand and balancing techniques to thousands of people. While many athletes focus on quick results, power movements, and how fast or strong they can get, Sant’ana instead focuses on the process itself, including balance, stability, and patience. These are the tools he gives his students, not only in the world of fitness, but as skills to use every single day.